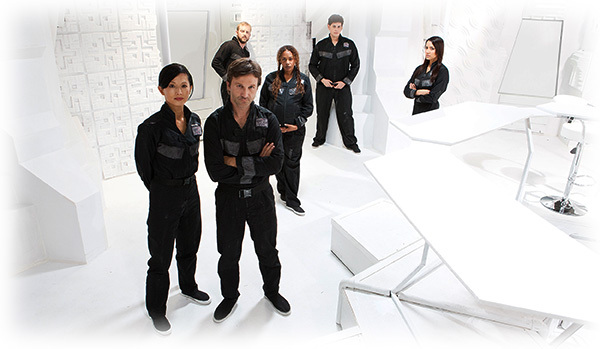 Boldly going where no movie has gone before, White Room: 02B3 is a first-of-its-kind film. It was shot using a cutting-edge 360° camera system, allowing Roddenberry Entertainment to continue its tradition of breaking the mold and pushing the status quo. Sitting in the middle of the single-room set, the camera captures 360-degrees outwardly in high-definition panoramic video with no gaps or distortion during filming. With a 360° camera, all actors are filmed simultaneously, presenting a unique challenge for writers, producers, actors and the director. The script has to incorporate relevant information for characters that would normally be off camera, and every actor in the room has to be in character while the camera is rolling with no opportunities to cut until the end of a scene. 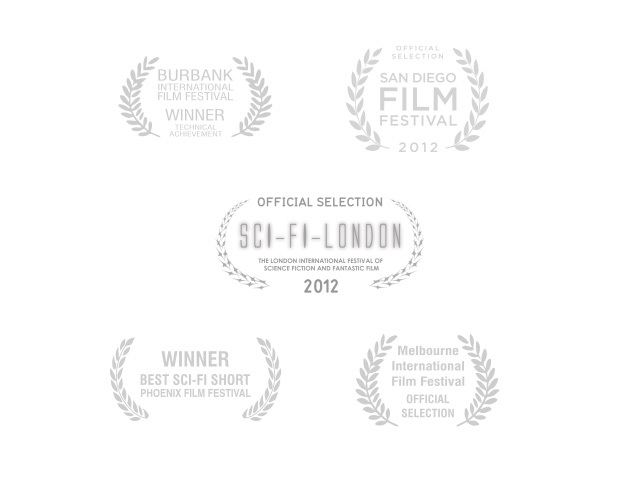 Distribution methods for the film are no less groundbreaking than its production. White Room: 02B3 should be available via dome theaters as well as mobile devices, redefining what it means for an audience to engage in and interact with their entertainment. In both cases, the viewer's ability to literally look around the room and see what's going on is what makes White Room: 02B3 one of the most immersive experiences you'll ever encounter. Boldly going where no movie has gone before, White Room: 02B3 is a first-of-its-kind 360˚ film experience. Starring Breckin Meyer, Tamlyn Tomita, David Blue and Rachel True, as well as Internet icons Tony Janning and Milynn Sarley, this award-winning film short is about six strangers who wake up in a white room to find out they are part of an extraordinary experiment that could change the face of humanity forever. With tons of extras, the app includes: the 360˚ film experience, a traditional version of the film, a special "making-of" featurette, cast information and a dome theater locator so you can request White Room: 02B3 at a 360˚ Theater near you. Special Note: We suggest watching the traditional version of the film first, before immersing yourself in the 360˚ viewing experience. Enter a US Zip: ...or find your location in the map below.